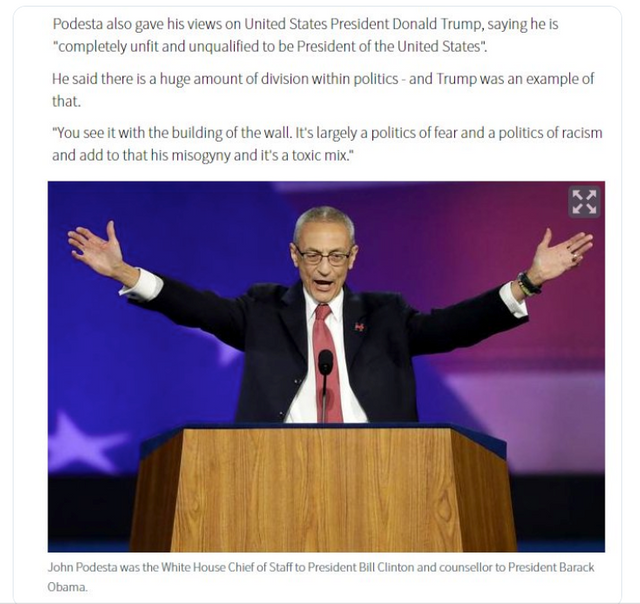 As you know, John Podesta was Hillary Clinton's campaign manager, served as White House Chief of Staff to President Bill Clinton from October 20, 1998 until January 20, 2001 and as Counselor to President Barack Obama from January 1, 2014 until February 13, 2015. 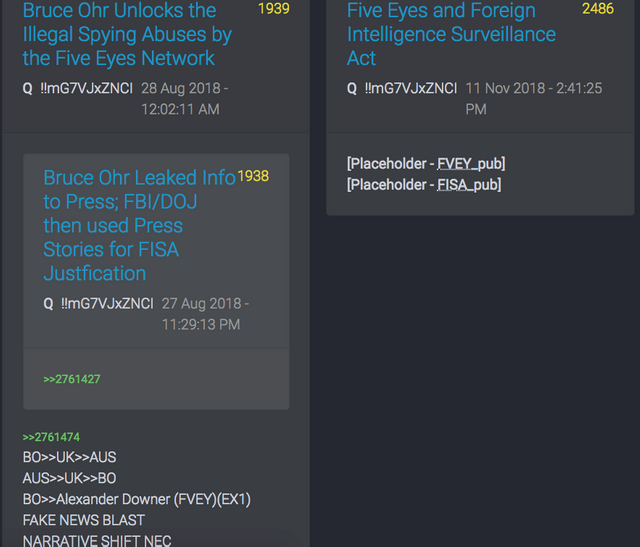 Before that he served as the White House Staff Secretary and White House Deputy Chief of Staff for Operations for the Clinton Administration between January 20, 1993 until October 20, 1998. Currently he reigns in with opinion pieces on the Washington Post and never misses an opportunity to join in the globalist, corruptors hate of President Trump and We the People who want the corruption to end. He is the former president, and now Chair and Counselor, of the Center for American Progress (CAP), a think tank in Washington, D.C. I would assume it is This job that made him a choice for this tour. Do you suppose they did a slide presentation on he and his brother's artwork. 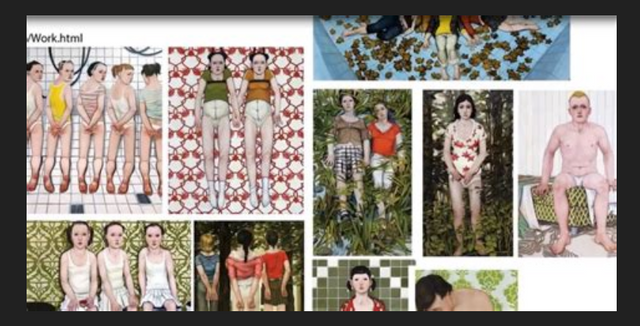 Just do a duckduckgo search on podesta art collection and go under images. 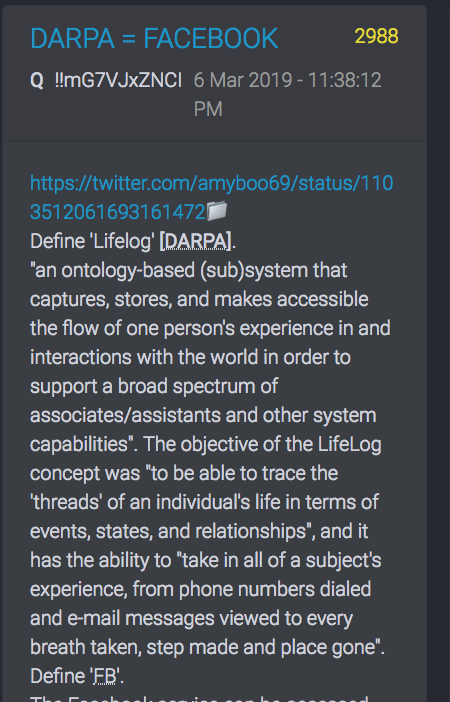 If you're already familiar, skip down to the next part of a very interesting thread I found on twitter. This stuff is horrific to look through, sicker that some has been created by terribly abused children and more abhorrent that it is then collected by John and his brother. They collect this artist's work and it is reminiscent of the chimeras and experimentation that occurs in underground labs as the rest of us are busy eeking out a living and being distracted by what the globalists prefer us to be engaged in so we are not aware. Perhaps a video would be better. 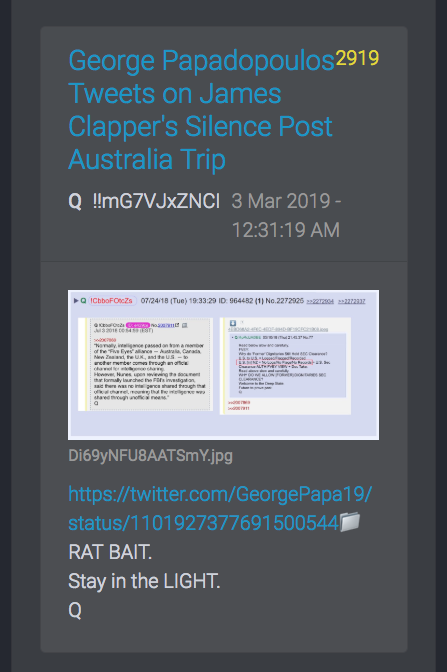 So Podesta recently finished his Australian Tour on March 7, 2019 which has left people wondering about the timing and a shooting that occurred with a clearly disturbed young man. There has been speculation as to whether he had a handler. Before this appears too far fetched, think about what profile many of these shooters fit. 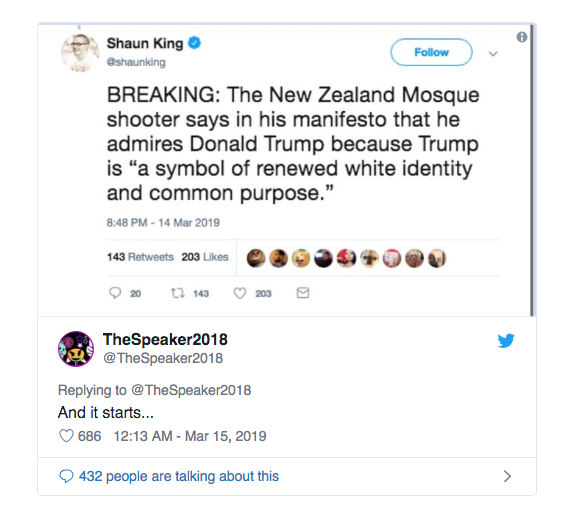 Many of us have analyzed other shootings including False Flags in which we are Not claiming people are not genuinely hurt, but who is orchestrating them. 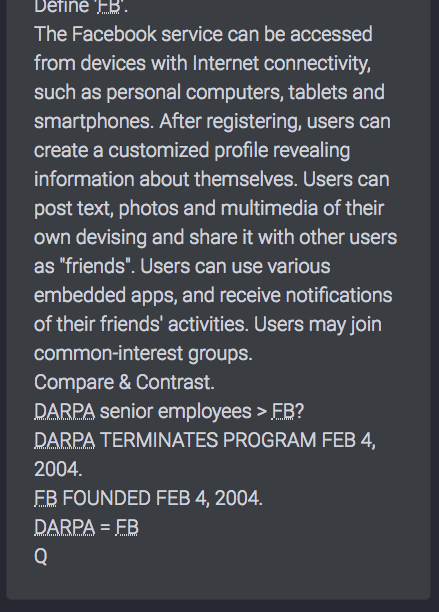 For example, we found many of the same scientists used by Hitler to mass program a population along with individuals, were brought over here under Project Paperclip. 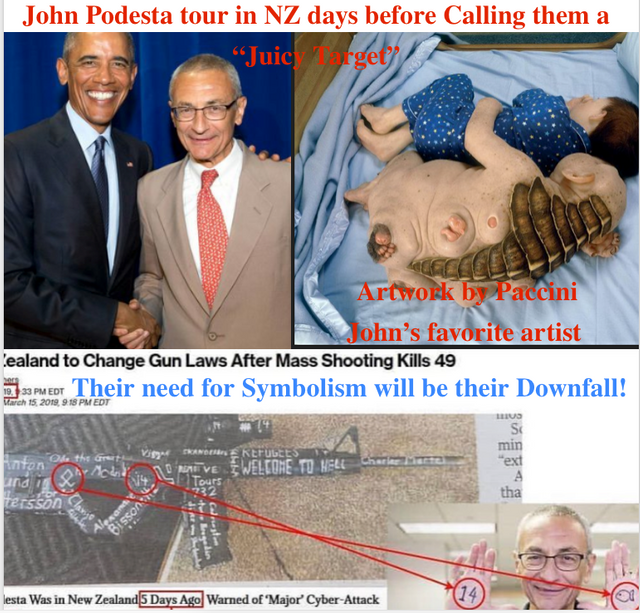 There apparently was very little media coverage of John Podesta's event at the University of Sydney there in Australia, but those looking at what occurred after his "messaging" find it rather interesting. "He is now offering huge support for the current NZ Prime Minister while also warning of likely future cyber attacks." 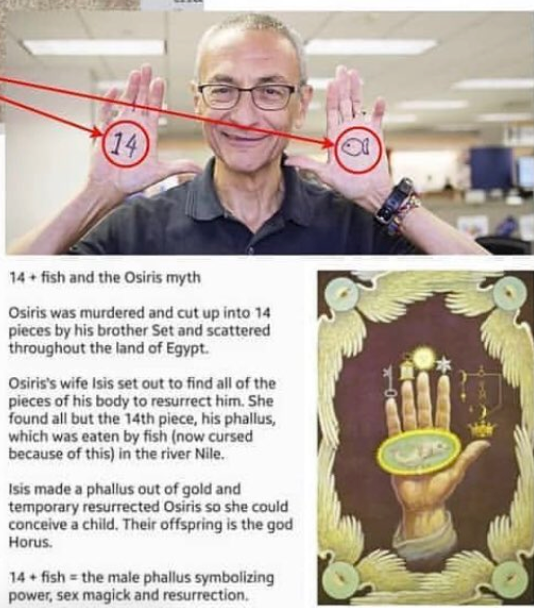 What's interesting is they paint Podesta, who collects this predatory child art as a victim. Does anyone else see anything Odd here? 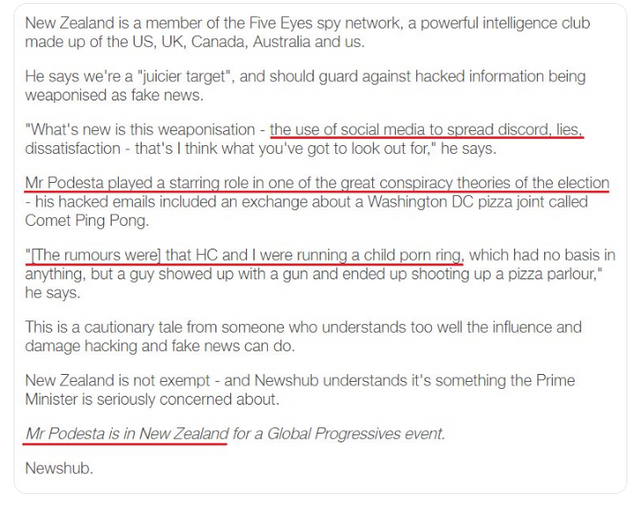 In an exclusive television interview, Hillary Clinton's former presidential campaign manager, John Podesta, told News Hub that New Zealand is a big juicy target - and that hacked information could be weaponised as fake news. Now I find it rather interesting that Kim Dotcom already gave the information as to Seth Rich being Podesta and the DNC's 'hacker' because Rich was honest and didn't like all the pedophilia and corruption he was seeing. Cost him his life. Look him up if you're not familiar. What a Hero! “I know who did it and why,” Dotcom continued. 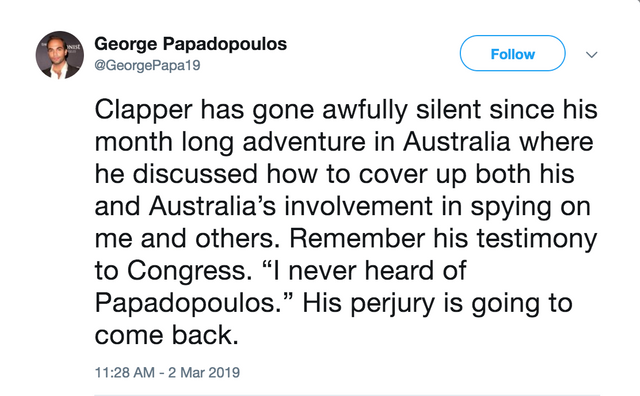 His tweet contained a link to a June 24, 2016 article in The Sydney Morning Herald which quoted him as having said that “he would be Hillary’s ‘worst nightmare in 2016,'” referring to former Democrat presidential candidate Hillary Clinton. 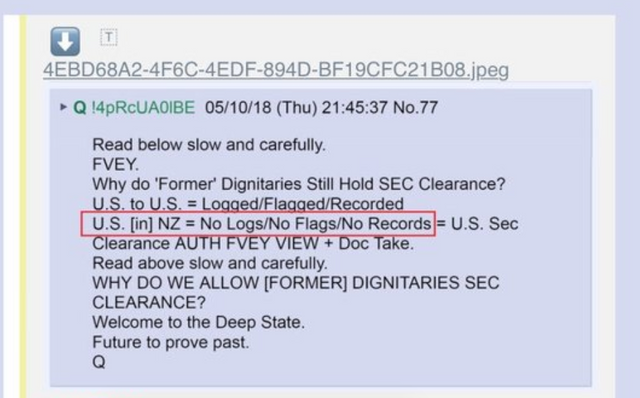 The same term continues to be used when anyone hints that Barack Hussein Obama’s “long-form” birth certificate is not authentic, as has been reported by a criminal investigator who has stood by his claim for the last six years on numerous radio shows and interviews. 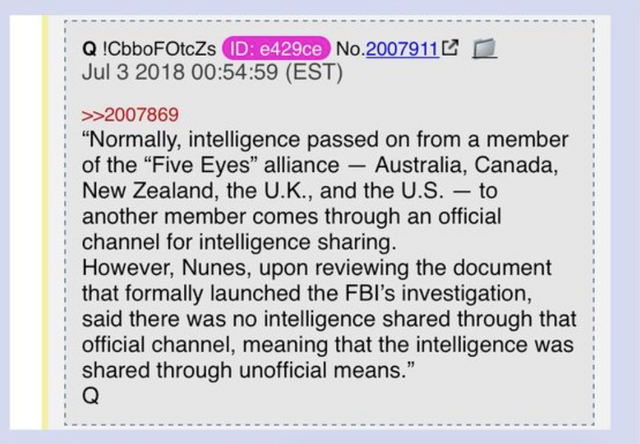 Dotcom has said that he “was there” when Rich used the memory stick to download a trove of emails exchanged among DNC staffers which, when published by WikiLeaks in July 2016, led to resignations, including that of then-DNC chairman Debbie Wasserman Schulz. Last August, Rep. Dana Rohrabacher (R-CA48) told Fox News’s Sean Hannity and others that when he met in person with WikiLeaks founder Julian Assange at the Ecuadorian embassy, Rohrabacher became convinced that Assange had proof that the DNC hack was not perpetrated by the Russians. Assange has long said that no “state party” was the source of the DNC emails. So who does it benefit to continue the proven Lie of Russian Interference which has cost the taxpayers a great deal of money even though Nothing has ever been found? Only colluders were the DNC in their Uranium One deal among other collusion attempts. 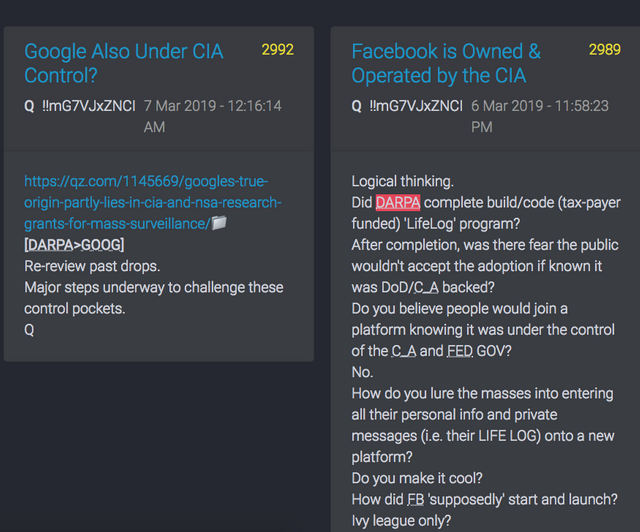 It benefits John Podesta who has been linked to many of the crimes being fettered out and the entire Russian Collusion was a distraction and their Key Rules for Radicals they consistently and diabolically adhere to. ..Whatever they themselves are doing. . .Blame the other side. There is evidence MSM has been used to further their criminal agenda, so this is how the drumbeat based on lies continues. 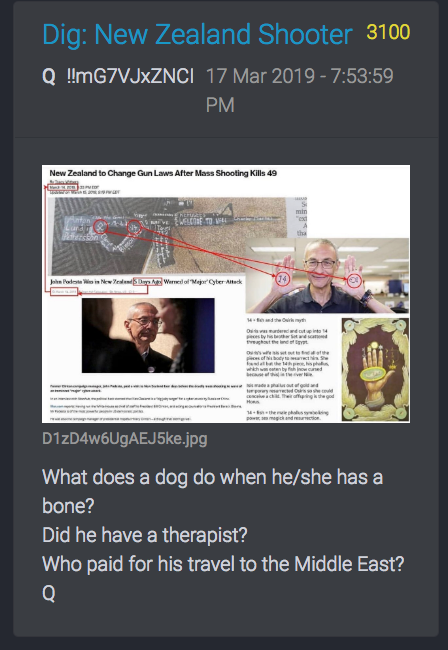 Back to Podesta in Australia before that shooting in New Zealand. Being so far away from the US, Skippy mustered up the courage to rip apart Trump's reputation to his New Zealand audience. Who Doesn't want that wall for We the People's protection And the protection of children sent though their parent's Know they will be raped? Who Needs the votes from illegals the most and has shown they don't care and Won't vet them? 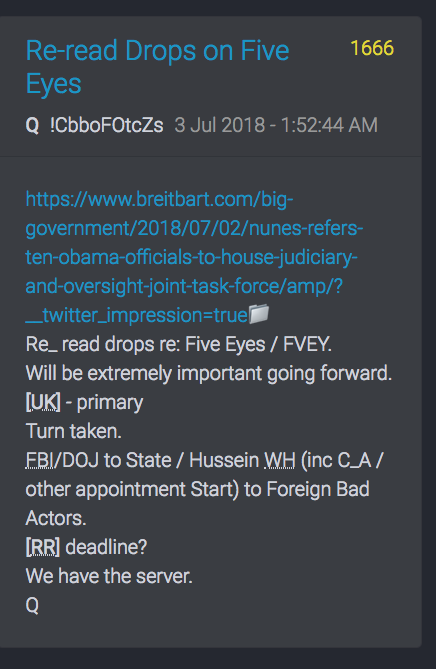 Only the representatives from the DNC camp and compromised Republican representatives. His actions are Very Telling! 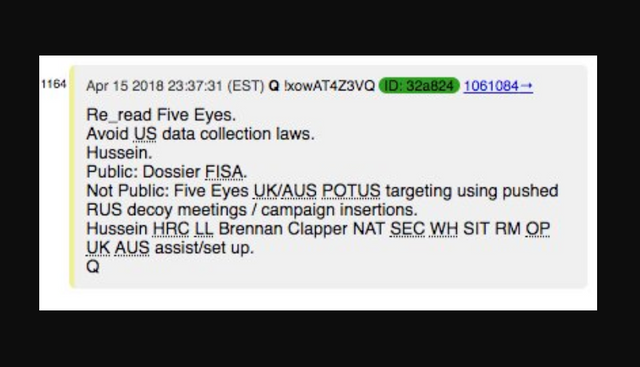 He references Five Eyes (in the articles above) is also extremely interesting given the pending #FISA declassification. 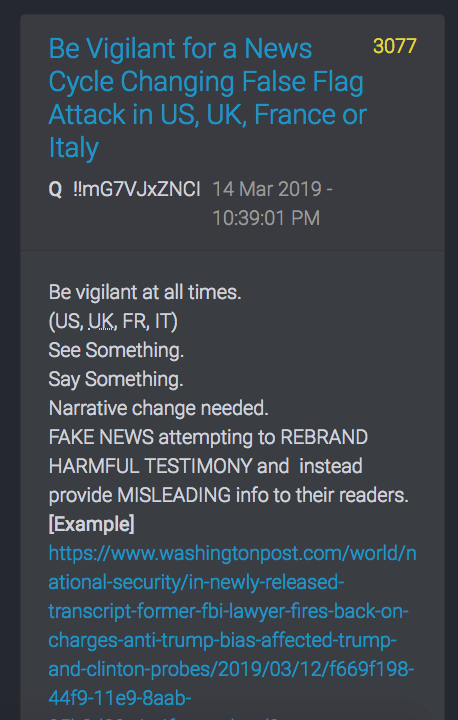 He also gave the world another reminder about the total nonsense of the Comet Ping Pong story. 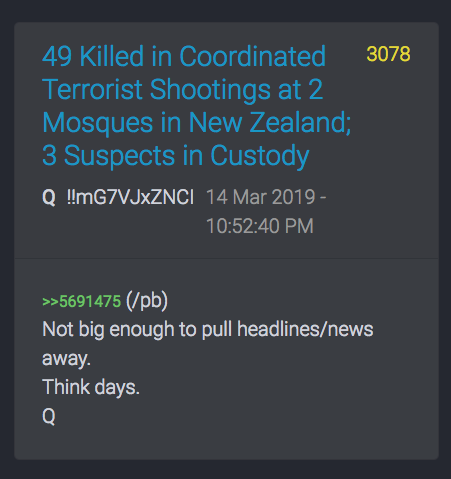 Days after calling NZ a "big juicy target" we have a terror attack. 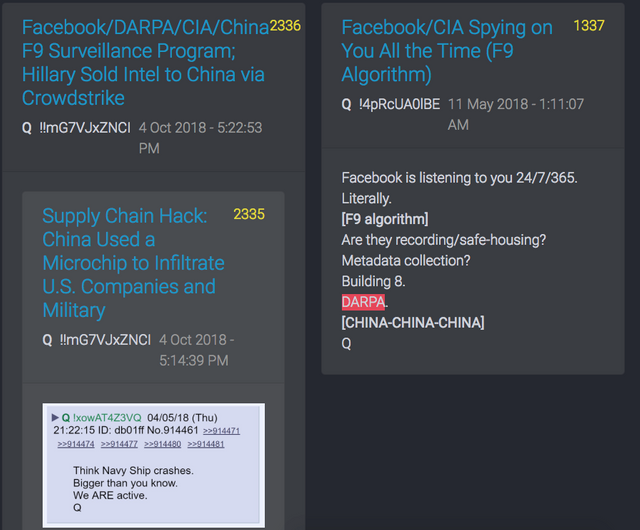 Q also got involved, warning of large attacks in coming days (Post #3077). I could go on and keep showing you the evident trail, but I realize many of you likely know or suspect. Okay, so you get it, last one. Who just bad mouthed Trump over there in Australia? Who needs Trump out of the way? Where were nefarious, underhanded dealings going on? Perhaps having someone who kills others thrust forward by MSM to claim he endorsed Trump. Is this convenient or What? 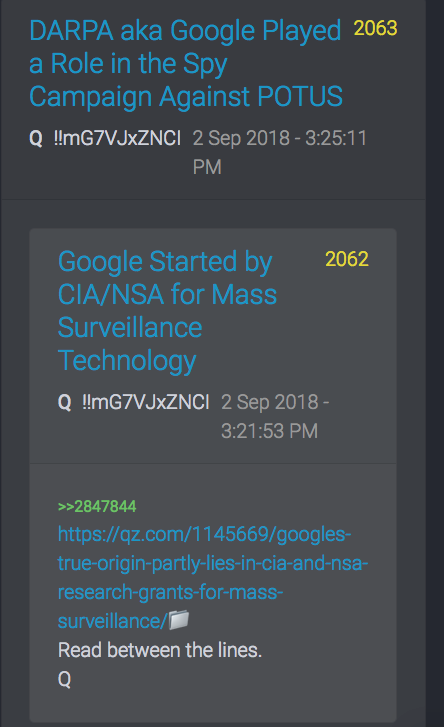 You can just go to duckduckgo and plug in Podesta McCann, then go to images. Here is a report I did with more detailed info involving her case. And Once again, used for a gun grab just as the Dem representatives and globalists have been pushing for so that innocent civilians have no way to defend themselves. Notice the markings on the gun. Some have speculated Who the shooter's handler may have been. Remember how Hillary visited and talked about moving there after she lost the election? That's all for now. 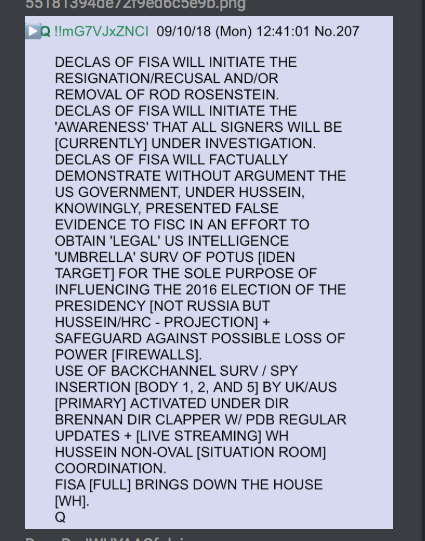 Please let me know in the comments below what you think of all this. Stay Safe and Keep Fighting the Good Fight Fine Patriots!